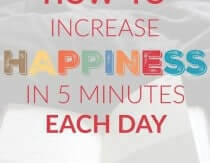 Heather Dessinger 284 Comments This post contains affiliate links. Even more disturbing, the most common place breast cancer now occurs is in the upper/outer quadrant – just under the arm pit. Hmmm . . . you’re starting to look a little concerned. Maybe I shouldn’t mention that a common active ingredient – aluminum – has been linked with Alzheimer’s? (source) Would discussing the use of triclosan be too much? Okay then, I’ll tell you some GOOD news. You can ditch your deodorant for a natural one that WORKS. As you probably know, I’m a DIY girl. With that kind of reputation, you might imagine I get quite a few messages that go like this . . .
Hi, Heather. I was looking at some of your homemade beauty recipes and was wondering if you could make and sell them. I am terrible in the kitchen and have a super hard time just trying to make healthy meals. I have the cooking equivalent of a green thumb and would so much prefer to have someone else make these recipes and I buy them. Interested? Or know anyone who already does this? For some products, the best I can do is suggest a “compromise” brand – something with ingredients that are better than average but not 100% worry-free. That’s not the case with Primal Pit Paste. Not only does this stuff really work, it’s made with only the best natural and organic ingredients. I mentioned that it works, right? Good. You can order Primal Pit Paste deodorant right here. Easy Homemade Deodorant That Really WORKS! If you go to website under contact and fill out you will be automatically signed up for newsletter. There should be a contact on FB too! Please Pick me! 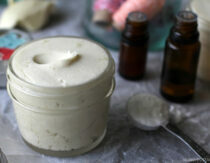 I’ve tried several natural deodorants and homemade recipes and have not found one that works. I would love to try this!! 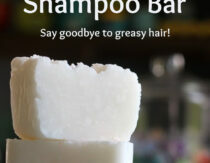 Awesome- I am trying to get rid of all toxic beauty products, so this would be great! Thanks for the giveaway! That email could have been from me! I’ve made my own deodorant in the past, but I’ve been wearing nothing at all for weeks now because I ran out and haven’t gotten around to making more! I’m so excited to know about a good brand that actually works! I actually just bought a bunch of stuff to make my own deodorant, but this stuff looks amazing!! I have a 3 year old daughter and am passionate about trying to get everything as non-toxic and natural as I can!! I’d like to try a natural alternative to deoderant. I’m concerned about the aluminum in deoderant but don’t have a good alternative that works for me. Love to learn about new products! Would love to win and try this stuff!! I would love to try a natural alternative to the commercial deoderants. I want to try this product SO bad! I have such sensitive skin, and use deodorant about 3 times a day since I’m so active at work, Zumba, running, and many other things. Regular deodorant irritates my skin, so I tried the all natural TOM deodorant and even THAT irritates my skin! PLEASE choose me to win the sample of your product!!!!!! I would love to win because I NEED to use deodorant, but hate the idea of putting harsh and poisonous chemicals on my body! I also think it’s important to teach my children alternative ways to deal with hygiene! I just got a jar of this the other day and so far it’s working! Would love to win and share with family/friends who may be skeptical that it works. Thanks for this giveaway – I have been wanting to try this stuff. I need to switch from my Secret to something safer but I just haven’t yet. I make our own deodorant at home and it is fine for me. I think my husband would love to try this since it might be stronger! Its about to be very hot and sticky here and would love to find a natural deodorant that works! I do make my own but my kids prefer not to use it so I’d love to win and give this to my kids to try. Oh! I’ve been wanting to try this stuff! Alas…very little money available to purchase it! I’m so excited to try this for the first time. We are in the process of cutting out all of the crap in our lives and deodorant is next on the list. I would love to give this product a chance! I LOVE Primal Pit Paste! I’m amazed that it actually works and it smells so good! I’d love to try this and see if it really works! Especially for my husband who doesn’t like my homemade deodorant. I so want to try this product. I’ve been looking for a natural alternative to deodorants and this sounds wonderful! This stuff looks great for me or my husband! I’ve tried several natural deodorants and have yet to find one that I really like. I would love to win and try this one out! I would love to win this! I have made several versions of homemade deodorant and have had some trouble. I have purchased some natural deodorants and they don’t last very long. I have heard good things about this brand and would love to try it! I’d love to try this to see how it compares to other “natural” deodorants. Thanks for the giveaway! I’ve been looking for a natural deodorant that works, forever! I tried making my own, but it just didn’t cut it. OH I SO WANNA WIN! there stuff looks amazing! I’ve been looking for a good non-toxic deodorant for a while now so I would LOVE to give this a try! I’ve been wanting to make the switch to natural deodorant for some time now. I’d love to win this! I just purchased some recently, and so far I like it. I would love to get some more for me and my husband, and I’d like to try out the other scents. I wanna win so I don’t have stinky pits anymore 😉 I’ve been making my own but would love to give this a try! I tried to sign up for the newsletter but haven’t gotten a confirmation email yet. I would LOVE to try this. I have been searching for years for a suitable natural solution for deodorant. I would love to win. My daughter is 10 and I dont want to give her store bought deodorant. I would like to try it as well. Thanks for doing this giveaway. Always game to try a new natural deodorant! I make a lot of my own items, but making deodorant just isn’t something I have time for or am interested in making. Want to try this so bad and share with family and friends if it works! Thanks for the chance to win it. I’ve just started to think about better solutions for deodorant. Started using Tom’s for now, but would love to try this instead!! Count me in!! I would love to try some. I would love to win because I have been having issues with my homemade deodorant. Someone reccomended this kind to me but I hate buying it without knowing if it works! Hi Primal, I’m a primal girl and would love to try this natural product!! I really need one that works all day and wont hurt me in the long run!!! I would LOVE to win this as I have been wanting to try it. Thanks! I can’t wait to try it!!! I’ve heard so many good things about it! I’d love to try this! Always on the look out for new/better products that don’t have “garbage” in them! I really want to try primal pit paste! I’ve currently given up on deodorant altogether, and I just rock the stink because I don’t feel like trying any more that don’t work. Just started using this stuff and it is by far the best natural deodorant ever!!! can’t wait to try it!!! I’ve been wanting to make my own deodorant for a while but haven’t had the time. Hope to win! Would LOVE to try this for my husband. We had been focused on finding aluminum free and did, but now I just looked and his does contain the propylene glycol. Would love to win! Have wanted to try this product for a while now! I’ve always wanted to try natural deodorant, and I would love to try thsi! Just started making my own….However, would like to try the “strong” and have the convenience of the stick….both because I play tennis in the 100+ degree Texas heat! 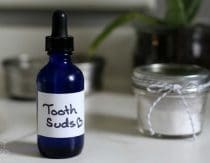 I used to make my own but I got out of the habit when I was very sick and pregnant and haven’t gotten back into making my own – so excited to know that such a product exists! I have been trying homemade deodorant recipes for several months now and just can’t get the right one. I also have children coming into that age that I would like to start off with safe options. This looks wonderful! I want to win so I can try it before I buy it! A couple of years ago I started getting hives and itching… it got worse when I went on a cruise… come to find out it was my deodorant which I had been using for YEARS without any trouble. Since then I have tried Tom’s (not overly excited about it) and some others and am really excited about Pit Paste!! Trying to find more personal care products that work and are not hazardous to my health. Here’s hoping! I’d love to try this. The homemade stuff that worked for me for many months has just started making break out! I’d love to win because we are in the process of changing our lifestyle from all the unprocessed junk to the good natural stuff. I planned on making my own deodorant, but I just had a baby and have no time!! This would help out a lot! I would love to win this because the other natural options I tried didn’t work for my body. I would love to win. I’ve never used natural deodorant before and I have been searching for one to try! I really want to try this! Don’t have time to make my own, but I’m tired to using the bad stuff! Would LOVE to try this brand out! Here’s to hoping I’ll win some Pit Paste! I did not see it mentioned above, but I wanted to give a shout out to a local (to me) girl. Crunchy Betty is a DIY diva and she does sell a few things on her etsy site. I don’t have the space to make a lot of things myself, so I was super excited when she opened her shop. Just an idea! P.S. you guys, primal pit paste is the bomb! Whoever wins will loooooooove it! YES!!!!! SO excited to try this stuff!!!! I really want to win this because I’ve been searching for an all natural deodorant for some time now and nothing I’ve come across has really worked! I REALLY want to try this out!!!! Thank you! Well, I really want to win this for my husband because he has the stinkiest pits ever! Have tried several natural deodorants and he still stinks! He is in the military so is pretty much always sweaty. I have used Primal Pit Paste, and would love to win some more! It works really well! already a fan of this stuff and use it every day! I’ve tried a gazillion natural deoderant alternatives and I’ve never found any that work. I don’t want any more toxins in my life or on my body… especially in my pits! I would LOVE to win this. I would love to give this a try. I have tried different recipes for natural deodorant, but all of them stain my cloths pretty bad. Never tried this one before. I’ve been using Primal Pit Paste Patchouli scent for a few weeks now and it works really well. I would like to win this package because I’d like to try the other scents as well as the stick. I find that it does work, but the Patchouli has a musty smell, (maybe just with my body chemistry.) My husband says he likes the smell, so to each his own I guess. I do feel like it gives out by the early evening and would like to have the stick to make it easy to reapply. I have changed for a natural deodorant butit does not work for my husband and daughter, would love to try Primal Pit Paste. thank you! I want to get away from useing traditional deodorants, it’s scary what they are allowed tp put in stuff you put on and in your body! I’ve been making my own deoderant at home but have had some bad reactions with red bumps under my arms. I’d love to try this product to see if its a good match for me!! I would love to win because I have not had any luck with my own deodorant and only really strong deodorants seem to work. I would like to try something more natural. Would love to win! Deodorant is something I can’t seem to find a “natural” solution for myself that works (and I’ve tried a lot)! I have tried several natural deodorants, but haven’t found something I absolutely love yet. Would love to try this! this looks great! i have been at odds with deodorants for the past few years. can’t wait to give this a try! would love to try this…deoderant is one thing I have yet to find all natural that I love and that works. I always love trying new organic/natural products! I’ve been wanting to try this, and the timing couldn’t be better! I’m almost out of my traditional, dirty brand, so it would be awesome to have some Pit Paste to test out. Thanks! Great giveway, I’ve always wanted to try this stuff! I use natural deodorant now, but it doesn’t really work all that well. So this would be an awesome chance to check out a deodorant that works and is natural. 2) My husband gets really irritated by deodorants and has to stop using them (a very bad thing for my nose). We can’t find anything he can use. Most natural deodorants we have tried don’t do a good job for him. Would love to give these a try. I would love to try natural deodorant that really works! I keep hearing great stuff about this product and want to try it out for myself. I’ve been looking for a safe, non-toxic EFFECTIVE deodorant for a few years now gave up about a year ago when I found nothing that met all my criteria. I want to find something that REALLY works. Not just for me, but for my body-builder boyfriend too. He sweats a lot and an effective safe deodorant would be highly beneficial for both of us. If this works the way it says it does than we’re sold! I’ve been looking for a better way to do deodorant! Thanks for the giveaway! Great product! I’d like to win because I am switching over to safe products. My pregnancy hormones are going nuts. I’d love to try this! I’ve been wanting to try making my own but haven’t gotten to it. Would love to try this! I would love to try this stuff! I have tried natural deodorants and most recently made my own which is fine but I do not love it. Looking for something I love…. Thank you for sharing this site, I have been using the stone from the store and not to happy! I would love to win because I have promised my husband to be frugal in my transition to a healthier, traditional life-style and this would offer me the opportunity to show him how well a natural product works without spending $$ experimenting (which makes him nervous :). Plus, he’s a contractor, so deodorant is something he can’t compromise on, so a free sample is probably the only way I’ll get him to try anything besides Old Spice! would love to try this from my husband. I would really love to try this! I haven’t had the time to make my own deodorant and this sounds like a great alternative! Ive tried all kinds of different “allnatural” deodorants but none work! I’d love to try primal pit paste! would love my hubby to try these. I would love to try this and see if it works better than the crystal stone deodorant I currently use. Awesome! I would love to try it! Would love to try this…don’t really like my current deodorant crystal. looking for a natural deoderant…and i love lavender. I would love to try some! Thanks for the giveaway! I’ve tried homemade deodorant so many times, and it either didn’t work or left my underarms burned and peeling! I would love to try this stuff. I would like to try pit paste because it looks like it would be a great natural alternative to all the junk out there on the market right now. Would love to try! So ready for an all-natural option that really works! Would love to try this!! Sounds great! I love this deodorant! Would love to try the Primal Stick and get my friends/family using this product, also. I would LOVE to try this stuff! I have been looking for good natural deodorant!! I don’t like how EVERY natural deodorant I’ve tried doesn’t keep me from smelling. Maybe this stuff is the answer! I would love to try this product, am switching to natural products around the home and having a hard time finding an effective and natural deodorant. This looks awesome! I want to see if this is better than my homemade stuff!! I love this stuff! Works better than anything else I’ve ever used…want to get my whole family using it! I have used natural deodorants for years. Most leave me in the lurch on really hot days. Hoping to find that “one” that finally works……in ALL situations! I would love to win this! I need this natural product for me and my family – one less thing to make! This is our family’s favorite! We recommend it to our patients as well! I would love to find a natural deodorant that actually works. This would be so great! I tried a couple natural deodorants but they just didn’t work. So now I’m back to Dove. It’s the only non-natural product I use, so I would love to eliminate the last vestige of chemicals in my home! Really want to try this stuff!!! Would love to give the pit paste a try! Using plain baking soda right now. I would love to try these deodorants! I would like to win this because my homemade never turns out right. I would love to give this product a try! I would love to try this and make my husband try it as well!! All of the natural deodorant I’ve tried haven’t worked for me and my husband won’t even try them….yet! I’ve also been wanting to make it, but I’m a little intimidated by that. Anyway, it would be really great to win so we could give it a try, and switch to give our business to a great company with a great product instead of a company that produces something that is harmful. I would love to try primal pit. I have been making my own deodorant lately since I haven’t found any I really like. Primal pit might be the one! Have been super interested in making my own deodorant or at least switching to something natural. I am TERRIFIED of all of the nasty toxic side effects of most “conventional” deodorants, so I would looove to try primal pit paste!!! Great giveaway! Would love to try this out. Wow this looks great I have been looking for a parabin and aluminium free deodorant! It’d be nice to take a break from having to make my own and this product sounds great. I’d love to try this deodorant. I’ve been meaning to make my own for months but just haven’t gotten around to it. I currently use the salt crystal deodorant, but even that has aluminum in it. I’ve been wanting to give this deodorant a try. What a better way than to win it! would love to try this….have been trying different natural ones, but haven’t found one I like yet! i’m allergic to most deoderants and anti-persperants(sp?) so i usually am forced to go without any, which is totally embarassing in the summer! i would love to try this stuff!! i would love to be able to go to the grocery store and not fear smelling like sweaty body!
! was just thinking about trying this stuff! I especially need something for the 6 men in our household!! I’m interested in the kids product. Is it for teenagers? ive been looking for something can actually work properly thats safe! 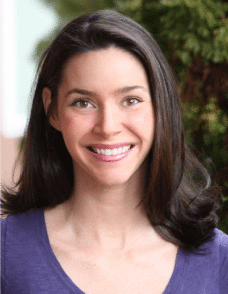 I have recently been exposed to the information on what Big Pharma puts in our deodorants and other personal hygiene products and it left me utterly disgusted…I am on a quest to healthify my family’s hygiene routine. I would love to try Pit Paste and want to give my niece the kids version. Yeah, fresh pits the natural way!! I’ve yet to make your homemade deodorant (Even though I have everything on hand) so due to laziness and lack of WORKING natural options…I still use aluminum sticks…(Secret brand) I hate it…but I’ve pitted out way too many shirts using my mineral sticks and what-have-you..
Been wanting to try this particular natural deodorant for a while now….hope I win! I want to win because I had no idea such a product existed, but I’ve always been concerned about the products we have to choose from at the drugstore. This is great! I’m so excited with the recent changes I’ve been making in being more careful about what I put in and on my body. I didn’t realize how toxic everything was…..shampoo, conditioner, lotion, toothpaste, deodorant! I’m so thankful I know now and that there are safe & healthy options available! I’d love to try the pit paste! I’ve been looking for a natural deodorant that actually works! I hope I win!!! this would be so awesome, i’ve been trying to find something for my husband to use that is safer than the normal commercial stuff but everything we’ve tried so far doesn’t work for him…might have to give this a try! I have heard great things about this deodorant. It’d be awesome to give it a whirl! Thank you for the giveaway! I’m currently using A&H natural but am looking to support a smaller business. Thanks for hosting! I’ve tried making my own but I can’t get my husband to use it. I would love to get him off of the conventional bad-for-ya stuff & have something we could both use. 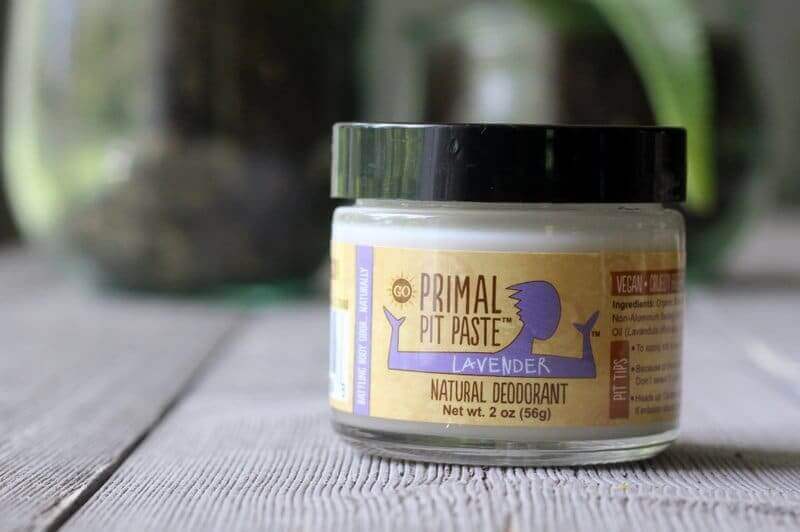 We have been researching natural deodorants and primal pit paste is on the top of our list to try out! I would love to try primal paste! I’ve spent so much money looking for natural deodarent. Would love to give this a try! Would love to try out this deodorant – have made my own but I’m always looking for something better. I have been using a natural deodorant for several years but often have to reapply during the summer. I am looking forward to trying this product. Esp grateful for stick for my teen girls to use during track. Definitely going to try this stuff out! Thank you for the contest. Hi, am excited to find this and give it a try. 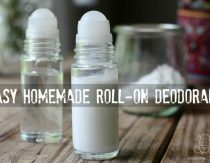 I’ve been making homemade deo. and trying all different kinds and can’t seem to find one that really works–especially on those days where you really work up a sweat! Need something good! Would love to try this. Thank you for the opportunity to win! I would love to try this! I have had trouble making one I like!! I’m so tired of trying EVERY deoderent out there- I’m hoping this works for me AND my hubby! Thanks! I am constantly on the hunt for a natural deodorant that works and I would LOVE to try this one. The breast cancer/deodorant link is super important for people to know. Thank you for your efforts! I am looking forward to trying your products! Blessings! I’m trying to become chemical-free as much as I can! This would be a great start! I just ordered my first jar and have been using it for 2 days. So far I’m really happy with it! I’d love to win some! So thankful for products like this. Would love to win some! My husband’s one big non-natural holdout is deodorant/anti-perspirant. I made him homemade (which works great for me) but he didn’t feel like it worked as well as he wanted for work or the gym. I can’t find a natural brand that will make him happy either, and it makes me cringe to see him still using aluminum based scented products filled with parabens, pthalates, and who knows what other chemicals. I would love to win this primal pit paste to keep him healthier!! I have been moving toward using all natural products and this fits the bill. Would love to win so I can try it! I’ve been looking for a natural deodorant that works and Primal Paste is the one that I keep seeing over and over again! Would love to try it! I was allergic to the last natural deodorant that I tried. I would love to find one that works and I’m not allergic to. I intend to give this brand a try. I’m trying to avoid toxic deodorants and am encouraging my daughters to do the same, so this product sounds wonderful. Would love to try the lavender scent. I would love to win to get to try these products. I have tried some other natural deodorant products that irritated my skin so I am always looking for better options. I would love to win because I am trying to slowly go chemical free! I’d like to see how good this works especially for a boy who’s going to be a smell teenager soon. I’d love to win because I am trying to live as naturally as possible. I’m married and we have two small children. We have allergies in the family which I am trying to keep at bay through what we eat. I live in Italy and whatever natural products I want to buy must be shipped from the US making them so much more expensive than they already are. Right now I cannot afford to try out this deodorant, winning sound be such a gift! I would love to win this as I have been trying to find a natural alternative for the whole family!! Is there also a coupon code if we want to purchase now? Would love to try this alternative to mainstream deodorant. Thank you so much for the giveaway! I had no idea this deodorant existed. I’ve tried using plain baking soda which is very effective but scratchy. This is a much better alternative. I’d love to win. I’m so glad they created a stick! I have yet to win over my husband to a more natural deodorant….hoping this will do the trick! I’ve been wanting to try this for a while. Thanks for all you do!! I have been wanting to try this forever! We are moving to Hawaii soon and I want to go “full hippie”. I am already a believer in natural products and my husband is getting there, but I want to show him and my little brother that you don’t NEED chemicals for things to work. I want them to see how awesome natural things really are. All my ingredients to make anything was recently packed. I am dying to get them on board. It is so much harder to be green when my husband buys commercial products. I need something that really works! Thanks for the giveaway. I really want to try natural deodorants! Would love to try this! I’ve tried a few natural deodorants with only moderate success, and have been thinking of just making my own.. but haven’t got around to it yet. Primal Pit Paste sounds similar in ingredients to the homemade deodorants, so this might be a better alternative for my procrastinating self! I’ve tried some homemade recipes and they just did not work out that great. I’d love to try something better! Pick me! I have been wanting to make my own for a long time but haven’t yet. I would love to give this a try! I love your blog! Thanks for all your hard work. This is an awesome giveaway! I would love to try it. I have supersensitive skin and I work outside a lot. deod. is a real challange for me to be natural and not stinky! I NEED this. Nothing works for me. I am intrigued! This stuff looks awesome! I want to win so we can use a healthier deodorant. I’ve quit using deodorant all together, due to health issues. I would love to try this natural product (and lavender is my favorite scent) <3 Thank you for giving us the chance to win such a lovely prize. I would love to win this! I have really been wanting to try this stuff! I have been using rock deodorant for years but I would really like to see if this paste works on me! I would love some…just entering the world of natural bodycare products, so I would be excited to try this! I would love to win this product. I tried just putting baking soda only on my pits and I broke out in a painful rash. I have used Tom’s all my life, but I am open to trying something new. I would love to give this a shot!!! Planning to make my own but I don’t always have the time!!! This would be a huge timesaver, and so many of the “natural” stuff doesn’t work for me! Very very cool!! I am a stinky girl, I wont if this would work!!! I want a clean, healthy product! Thanks! I would like to try something safer. I haven’t been able to use conventional deodorants for years because of the effect on my lymph system. would love to try this! I have tried other kinds and they have not worked. I would like to try this because everyone says it has worked for them. I’d love to try this stuff to see if it works for me! I have skin tags from unnatural deodorants, but the natural ones I’ve tried quit working after a few months… would love to try this! Would love to try something that actually would work in super hot Florida! I had pleasant experiences with Primal Pit Paste in the past. Has anyone ever used Lavilin? I have one sitting around my house that I’m going to start using. Next Post Are Flame Retardants Toxic?